Moxie is a thriving community of corporations committed to building inclusive workplaces and women committed to leadership development and professional growth. At Moxie, our mission is to help you disrupt unconscious bias and create inclusive workplaces where talent can thrive. The business case for diversity and inclusion is clear- get this right and you make more money and attract the best talent on the market. It’s just good business. You’ll love the practical and entertaining style of all Moxie Exchange® solutions. Tackling sensitive issues isn’t awkward when you approach the subject with straight talk and a sense of humor. Allison Coppel was born in Washington, DC. She holds an MBA from Stanford University, a Masters in Development Economics from the University of Nice (France), and a Bachelors in International Relations from Emory University (Atlanta). She has worked for several global mining companies and is now the Director of Social Responsibility at Newmont Mining. Prior to mining, she consulted for international development organizations such as the World Bank and CARE. 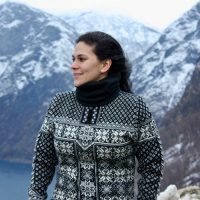 She has lived or worked in the US, Mali, France, Spain, Guatemala, Chile, and Peru, and speaks English, French, Spanish, and some Portuguese. She currently lives in Denver, Colorado with her husband and daughters. Barbara Koontz has more than 30 years of experience in talent management, executive development, succession planning, diversity, strategic execution, employee communications, and employee engagement. 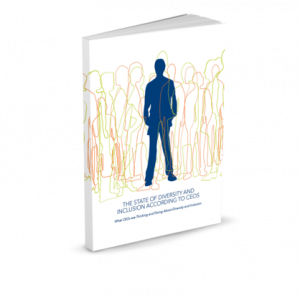 She has led the human resources aspects of company acquisitions, organizational transformation, and change. Barb was an executive at Xerox Corporation and was a member of the Global HR Leadership Team that set the strategic direction in support of Xerox enterprise strategies. Since retiring, she has applied her skills and expertise as a consultant, coach, and mentor in the private and public sectors as well as not-for-profit environment. Barbara currently Chairs the Board of Garth Fagan Dance, a contemporary dance company. She has her B.A. from West Virginia University and M.A. from Purdue University. Barb Egenhofer has been a global human resources executive, talent maven, change agent and organization developer for over 20 years. Currently, she is the Chief Talent Guru for Cardenta Consulting, which specializes in executive coaching, talent strategy, leadership acceleration and team vitality. She embraces all that upstate NY has to offer with her husband, two teenagers, and a plethora of pets. Her life’s work is to educate organizations on the power and potential of having a diverse and inclusive workplace. Egenhofer is a very active volunteer, and holds a Masters in Management from Northwestern University, Kellogg School of Management. 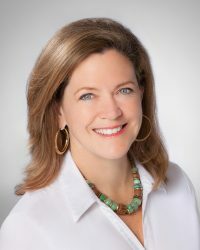 Carisa Wisniewski is Managing Partner for Moss Adams San Diego office and a current member of the firm’s Executive Committee, and past leader of the firm’s technology and life sciences practices. She has practiced public accounting since 1990. She provides audit services to a variety of public and private companies in the technology, manufacturing, and life sciences industries. Prior to joining Moss Adams, Carisa spent 16 years with a large international firm, including two years in that firm’s national office SEC department. She is a member of the American Institute of Certified Public Accountants and California Society of Certified Public Accountants. She is very active in the community, serving as a board member for Girl Scouts of San Diego County, American Red Cross and Tech San Diego Advisory Board. 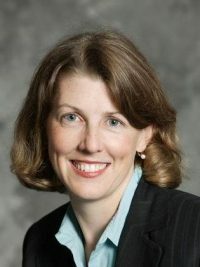 With previous Fortune 200 roles at Johnson Controls, Alticor Amway, International Paper, xpedx, Boise Cascade and Xerox, Kern has earned a reputation as a visionary leader. She received the 2012 “Champions of Diversity’ Award and was recognized as one of 15 Top Leaders in Global Diversity and Inclusion during the World Diversity Leadership Summit. Black Enterprise recognized Cheryl as a ‘Top Executive in Diversity’. Kern believes in giving back and is active in the community. She is a member of the Alpha Kappa Alpha sorority, is married and has two children. Jami has over 20 years experience in leadership and the IT industry. 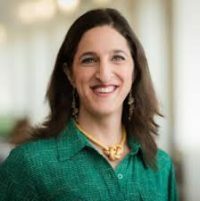 Prior to her current role, she led operations for Cisco’s Technical Support organization where she oversaw a significant portion of Cisco’s customer support volume and was a key contributor to Cisco’s long-term partner and technical support strategies. She is a strong advocate for talent development and has a passion for a diverse work environment where all people can be productive in their work. Janet is responsible for the digital employee experience and global delivery of foundational employee services. 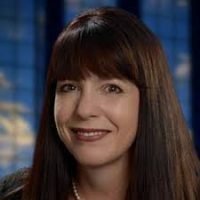 She joined Cisco in 1998 and has led global teams including Asia Pacific, Japan, and Greater China Technical Services, Strategic Global Operations & Serviceability, Emerging Markets Technical Services, and the Cisco.com web team. Janet has served on the American Red Cross and North Carolina New Schools boards. She holds a B.A.from Wake Forest University, a Masters from University of North Carolina-Chapel Hill, and a Computer Science certificate from North Carolina State University. Jean has spent the last 25 years as a Global Business Development Leader developing sales, go-to-market and portfolio strategies to spur growth for healthcare, technology and financial services. 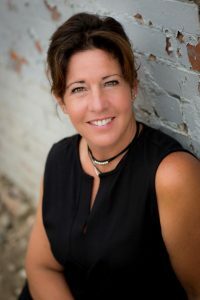 Prior to joining Everyday Health, she was SVP/CSO of Connecture. In addition she led teams at Trizetto, Affiliated Computer Services, First Data, Western Union, ARAMARK and Coca Cola. Ms. Landsverk received MBA from University of Denver and her BA in Business Administration from Iowa State University. She lives in Denver and enjoys golfing, hiking, cycling, skiing and snowboarding. Jean is involved in a number of charities supporting cancer research. Jeannine is an internationally recognized advisor and speaker in the fields of diversity and inclusion, engagement and cultural change. Across the span of her career, Jeannine has helped global companies in a variety of industries implement and manage large organizational diversity initiatives in countries such as Ghana, Peru, Indonesia, Singapore, England and Australia. She is a vital member of non-profit and philanthropic communities, serving on various boards and being involved in the community. Jeannine holds a bachelor’s degree in International Relations from Stanford University and an M.B.A. from Northwestern University’s Kellogg Graduate School of Management. Jennifer Briggs brings over two decades of practice in human resources, organizational development, and executive leadership from a variety of industries. She served as VP of Human Resources with New Belgium Brewing for 12 years creating a winning ‘best of’ workplace. Jennifer is now an independent advisor to purpose-driven or employee-owned companies. 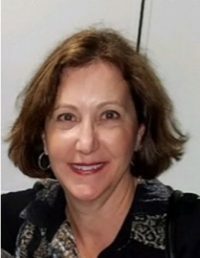 She is a partner with GRITT Business Coaching, a Rutgers University Institute for the Study of Employee Ownership and Profit Sharing fellow and contributor to the Beyster Institute with the University of California San Diego. She serves on corporate boards for PFSbrands, GISinc., and Engineering Economics, Inc. She holds a Master of Science in Organizational Leadership and a Bachelor of Science in Community Health Education. Ms. Johnson is a strategic business leader with domestic and international experience with Global Fortune 500 companies across multiple industries. 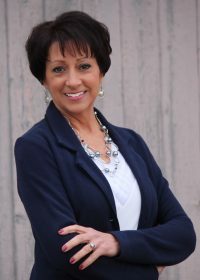 Prior to joining DaVita, she held leadership positions at Ball Corporation and Newmont Mining Corporation, in a variety of roles including Organizational Design, Change Management, Diversity and Inclusion, Talent Management, Performance Management, Talent Acquisition, Global HRBP, Employee and Labor Relations. Ms. Johnson has traveled the world extensively and has experience in managing international projects, which has given her a great ability to manage cultural differences. She holds a Master of Business Administration degree from the University of Denver in Colorado and a Bachelor’s in Psychology from San Marcos University in Lima, Peru. She speaks Spanish (native), fluent English and Portuguese. 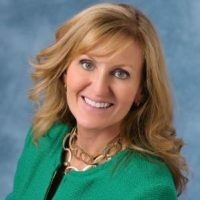 Linda Bernier is an accomplished senior leader with over 20 years of experience in healthcare and technology organizations leading marketing, strategy, product management, business development and consulting teams. She specializes in conceptualizing, building and executing strategic initiatives that drive corporate growth and create great companies. She is currently the Chief Marketing Officer for SKYGEN where she is responsible for corporate marketing, product marketing, product portfolio, product commercialization and voice of client. 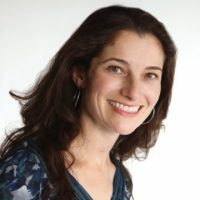 Prior to SKYGEN, she led Market Solutions for Welltok, was the Senior Vice President of Enterprise Strategy and Communications for TriZetto, and was the General Manager for Oracle (Siebel) Healthcare. She is a graduate of the MBA program at The Wharton School and has a Bachelor’s of Arts from Wellesley College. Maureen has spent over 25 years helping organizations grow by creating inclusive workplaces where talented people can thrive. People around the world are using tools and micro learning courses she created to help them rock their moxie. 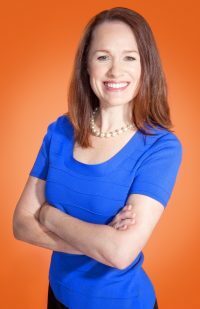 Maureen holds a Masters Degree in Organizational Development and is the author of the 5-book series Rock Your Moxie: Power Moves for Women Leading the Way. Her Disrupt HR Talk, “Hack Your Biased Brain” is one of the most popular talks of the movement. Mo has lived her life as a doer and risk-taker, too. She’s ridden camels in the Sahara Desert, jumped in the Fairy Pools on the Isle of Skye and completed two 36-hour ultra-team runs. She brings those experiences and approach to her work, getting people to think big, take action and move the dial on driving results for themselves and their teams. As the Global Head of Human Resources, she oversees all aspects of Human Capital Management for the Firm. Ms. Johnson joined Western Asset in 2017 and serves as part of the Firm’s Management Committee. She brings more than 18 years of experience in Global Human Resources with specific industry expertise in Financial Services, Technology and Data and Analytics. She also serves on the Advisory board for California State University Fullerton’s Mihaylo’s School of Business. 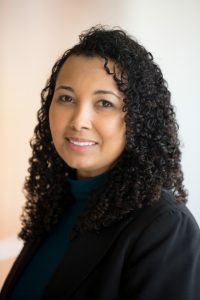 Ms. Johnson earned her Bachelor’s degree from the University of California, Berkeley in Psychology and holds a Master’s degree in Organizational Management from UOP. She is also certified in Lean Concepts, 360 Feedback and Executive Coaching. Stephanie has over 20 years of human resources experience focusing on a range of disciplines including employee relations, staff planning, diversity and inclusion, succession planning, performance management, recruiting, acquisitions, compensation, learning and development. Before joining Vungle, Douglass was the Vice President of People & Culture at OpenTable, Inc., and an SVP/Director, Human Resources for Ketchum Inc. Douglass is an active volunteer and supports a number of non-profits. She has her B.A. and M.A. from San Francisco State University, has completed the Advance Coaching Certification program at Columbia University and is Myers-Briggs Type Indicator Qualified. Susan Schell is the Director of the Career Management Center in the College of Business at Colorado State University. She is past President of Citadel Advisory Group, an investment bank specializing in oil and gas mergers and acquisitions. Prior to that Susan served as Executive Vice President of Global Human Resources and Quality for Advanced Energy Industries. Ms. Schell is a member of the faculty of the College of Business at Colorado State University teaching undergraduate and graduate programs in Leadership, Human Resources, Global Business Management, Personal Development, Communication and Negotiation. She is a past President of the Colorado Women’s Forum and an active member of the International Women’s Forum. 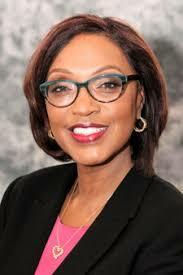 Her professional designations included a real estate broker’s license, and Series 7, 66, and 79 Securities Licenses.